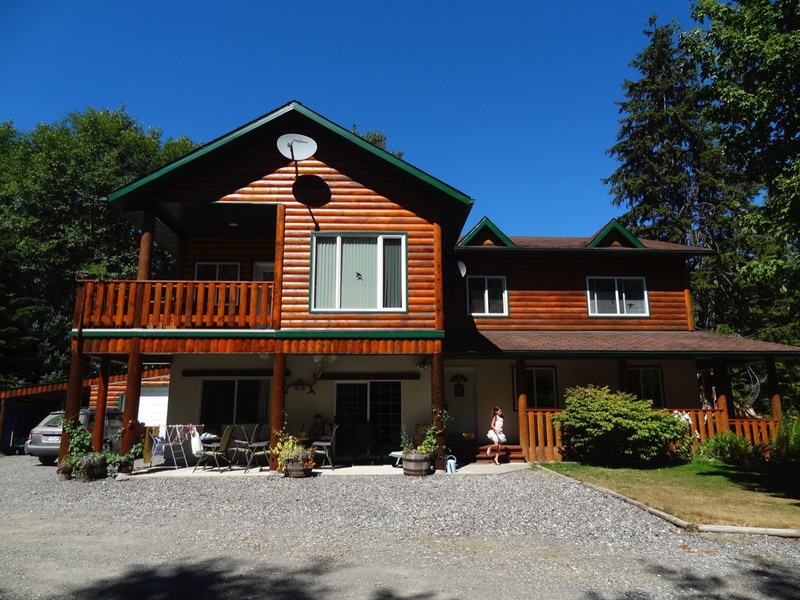 was constructed in 1999 close to the Kitsumkalum River surrounded by pristine forests and the extraordinary Coastal Mountains of Northern British Columbia. 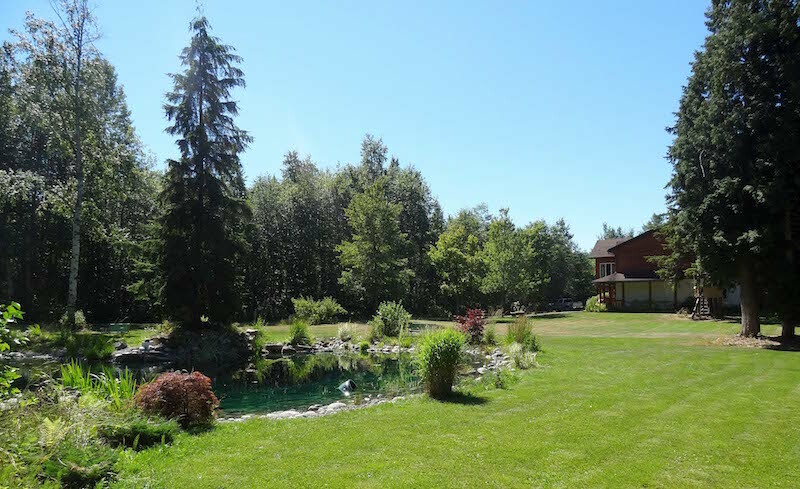 It is conveniently located just 15 minutes outside the City of Terrace in a quite and exclusive location fully immersed in the nature. 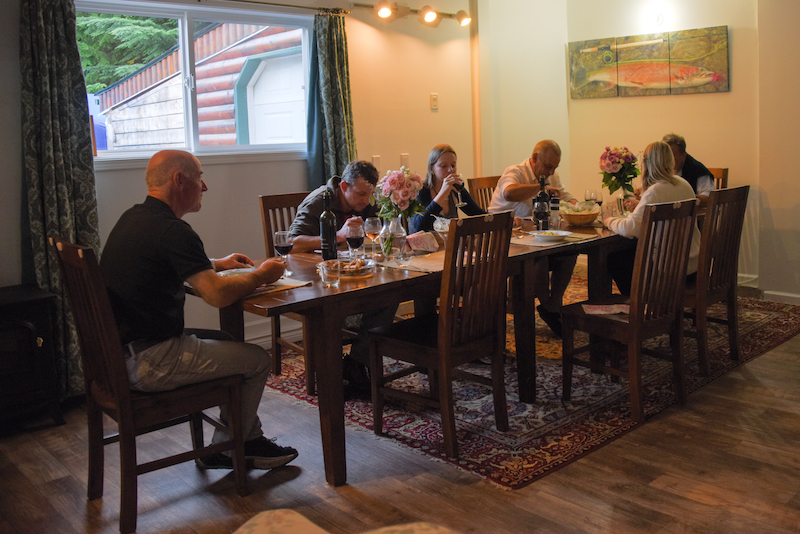 Our modern frame built lodge can comfortably accommodate 8 - 10 people and it is perfectly structured to host angler, skiers and any tourist visiting the region. Our goal is to make your vacation an unforgettable experience. You will not be left on your own, we will take care of you from your arrival at the airport arrival until your departure. Thanks to our local guides team we will provide you wit the best fishing solution at very advantages rates. Finally, to top it all, we also offer delicious traditional Italian and international cooking to satisfy even the most demanding palate. Let Francesco and his local gang guides guide you for Steelhead and Salmon fishing. Trekking, biking, canoeing, and climbing are just some of the numerous outdoors activities that the Skeena region offer to adventure lovers. In addition, Eco-tour trips are available for discovering the enchanting landscapes and for encountering wild animal like bears and moose. Be ready to capture the moment with your camera or camcorder. Your comfort matter to us. We know how it is important for you to feel comfortable and easy like you were at home. 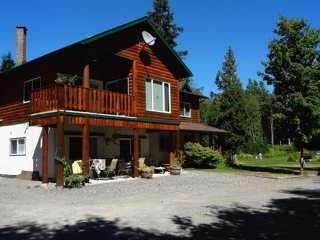 We designed our lodge to give you the best quality accommodation in the true Northwest spirit. We make available for your stay 4 double rooms with twin or king size beds fully furnished for your comfort. Each room has a private bathroom (not ensuite) with a shower, basin and wc. 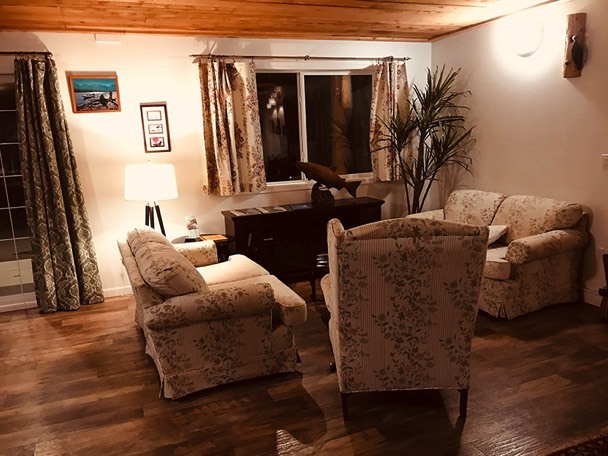 We do offer the possibility to have an extra room for family group.Our lounge room is furnished with all the comforts: a fly tying corner, cozy sofas and free fiber optic WiFi connection. An heated dressing room is available to make sure to dry all the wet garment and keep the room warm for the cold mornings. After the fishing day is over, you can enjoy the peace of the forest and fresh air of northwest evenings sitting under our porch or enjoy our Hot Tub Spa. 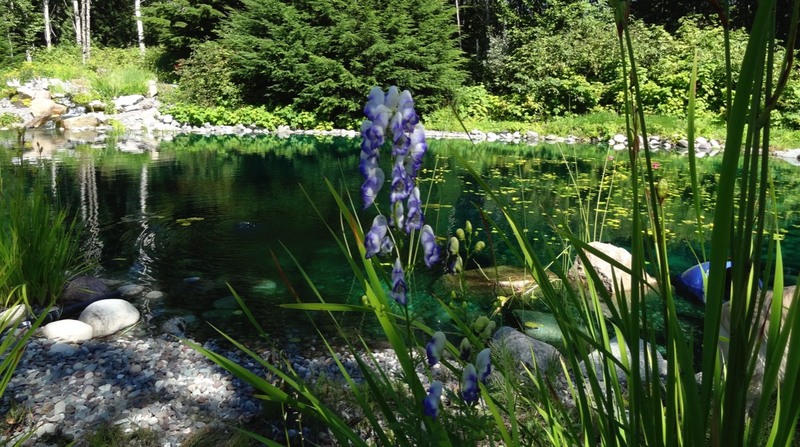 During the silent moments you will probably hear the enchanted voice of the Kalum River or of the many wild living creatures. We know how it is important for you to feel comfortable and easy like you were at home. We designed our lodge to give you the best quality accommodation in the true Northwest spirit. We make available for your stay 4 double rooms with twin or king size beds fully furnished for your comfort. 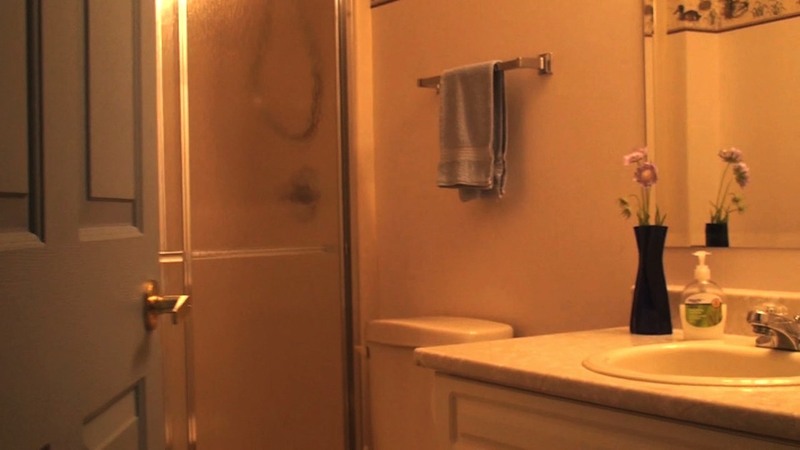 Each room has a private bathroom (not ensuite) with a shower, basin and wc. 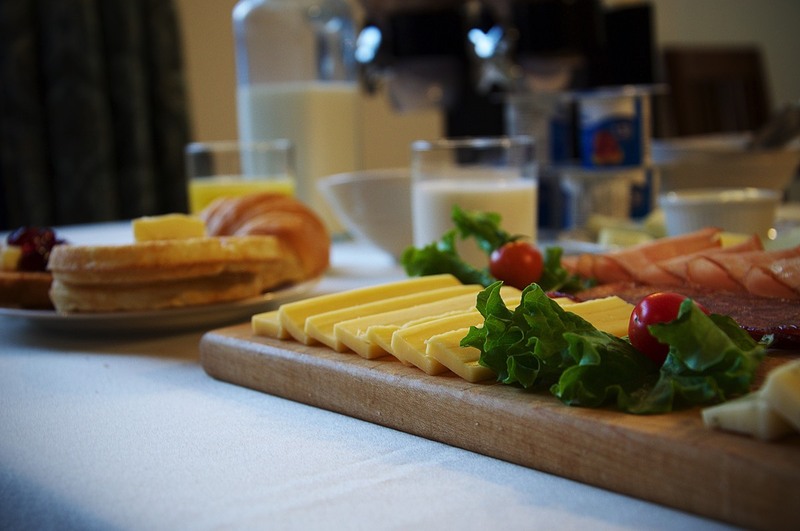 We do offer the possibility to have an extra room for family group. At Deep Creek Lodge the dinner is something really serious. it is a matter of pride; that’s why everything is home made with fresh ingredients that whenever possible are local goods grown or products of our garden. 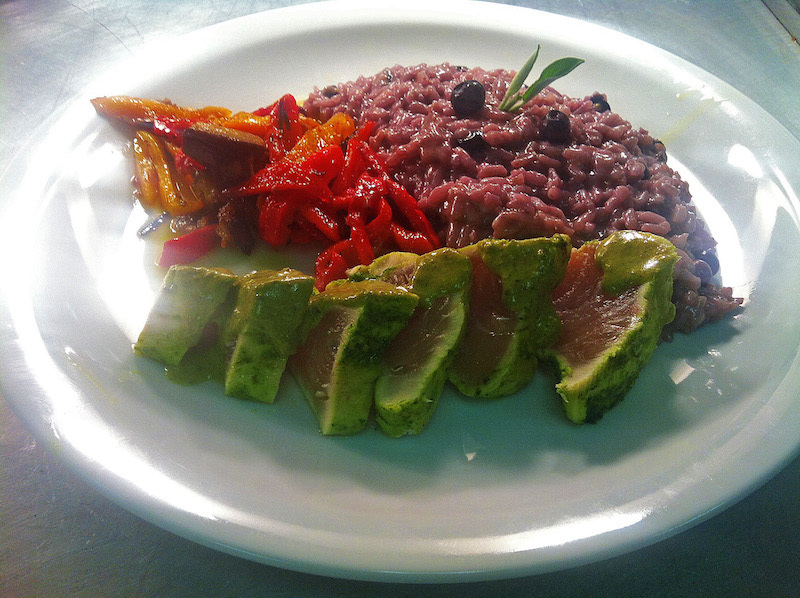 Our dinner is cooked to let you enjoy our truly Italian gourmet cuisine. 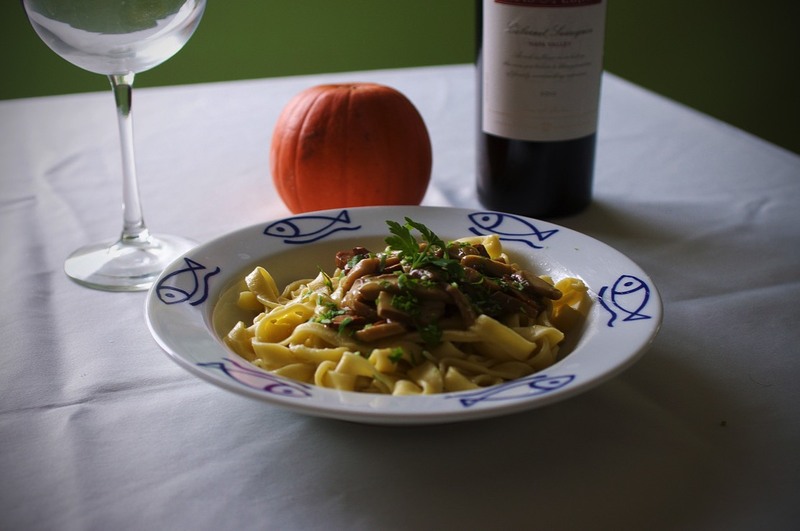 Our specials are our home made ravioli or tagliatelle, penne al ragù and spaghetti amatriciana; tender organic BC beef, halibut, salmon and other fine Pacific sea food and for you final satisfaction a home made delicious dessert complete our menu. Vegetarian menu available. 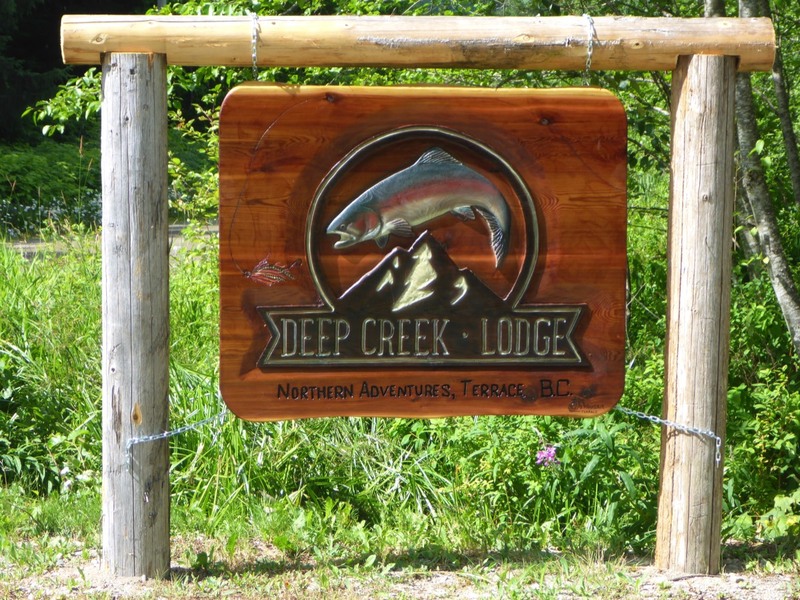 Hope to see you soon at the Deep Creek Lodge.